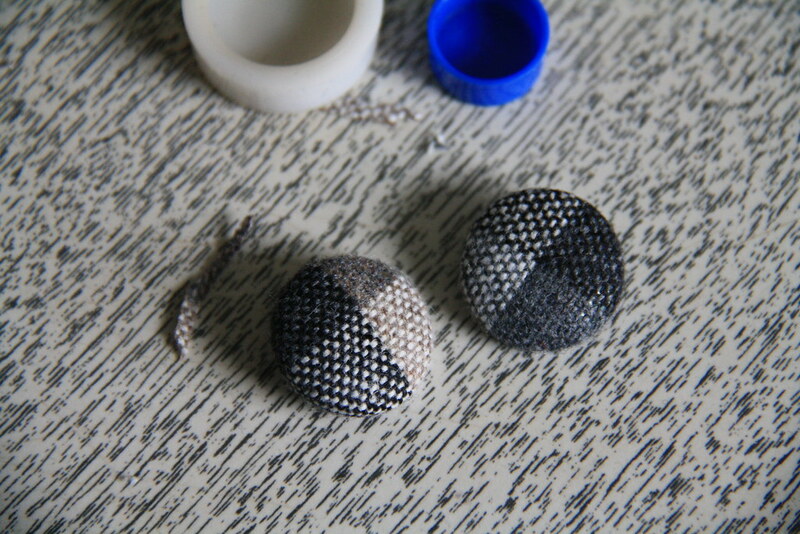 Sewing Saturday! I'm so excited to finally start using that vintage wool stash I bought last summer. 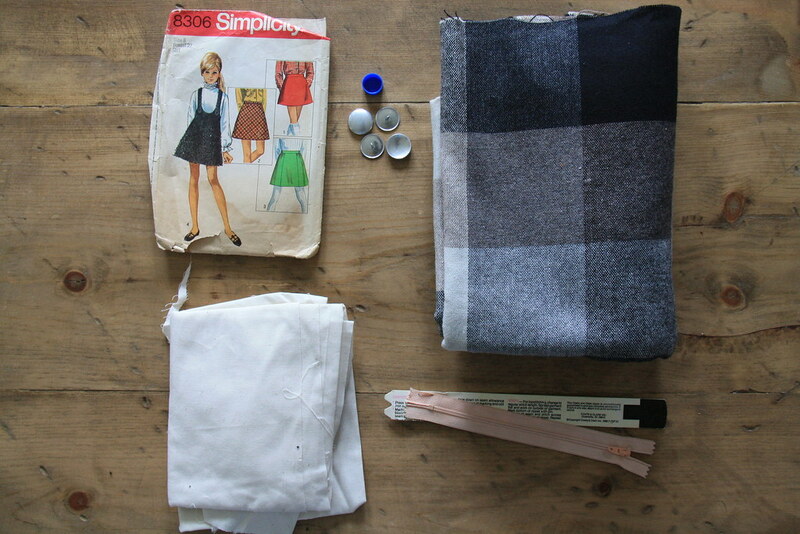 This week, I'm making a jumper with suspenders and matching covered buttons from an old Simplicity pattern from the 1960s. What I used for this project.. just over a yard of plaid wool fabric, two 3/4 inch buttons used for DIY fabric covering (I recommend Maxant, NOT Dritz - Dritz buttons have broken on me several times), a six inch zipper for the center back, and muslin for facing the suspenders and a couple of small pieces of inner lining (where the suspenders attach.. thought facing it with muslin would make it sturdier with a more structured fit). 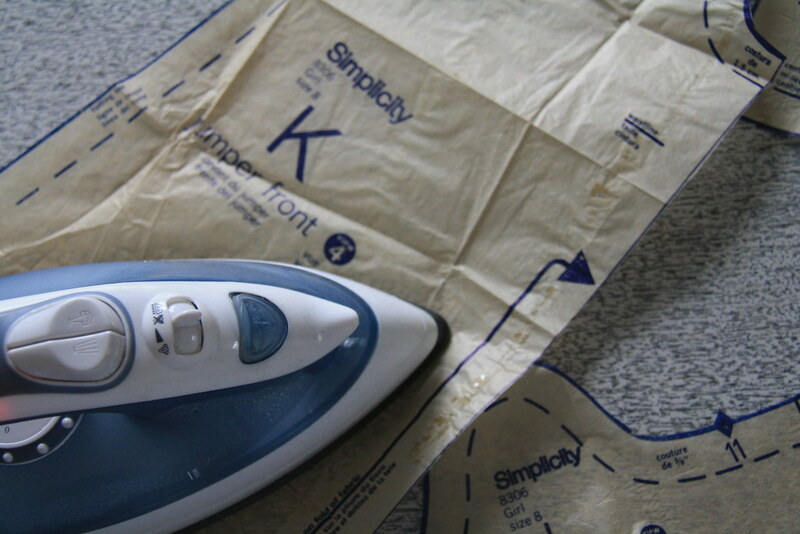 Begin by ironing out all pattern pieces and fabric (I used wool, so I had the iron on a very, very low setting when I pressed it), lay out your pattern, and cut. 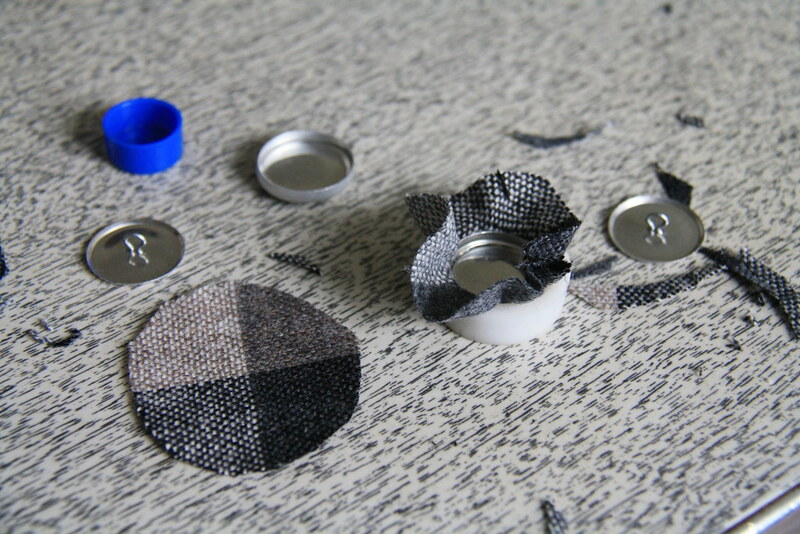 For those interested in learning how to match plaids (or stripes) when sewing, here's a great tutorial. 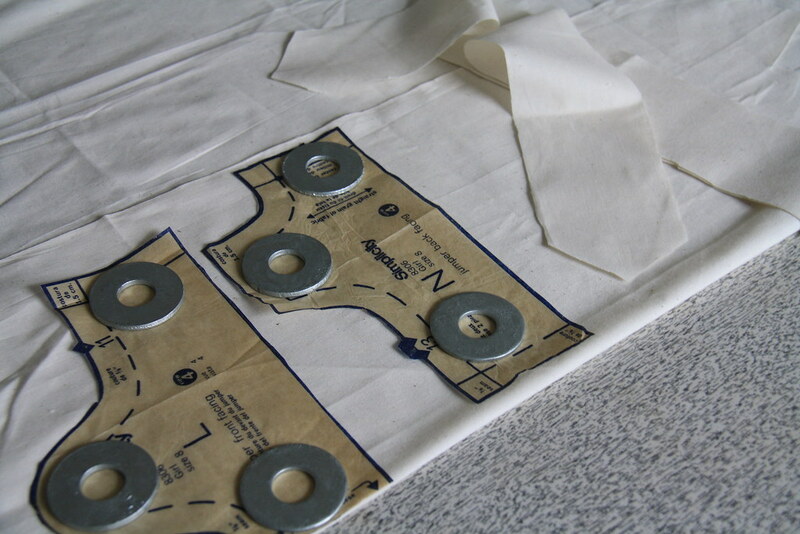 Since I only had so much time to sew this weekend, I decided to focus on attaching the muslin facing to the lining and suspender pieces, as well as cover the buttons with matching fabric. 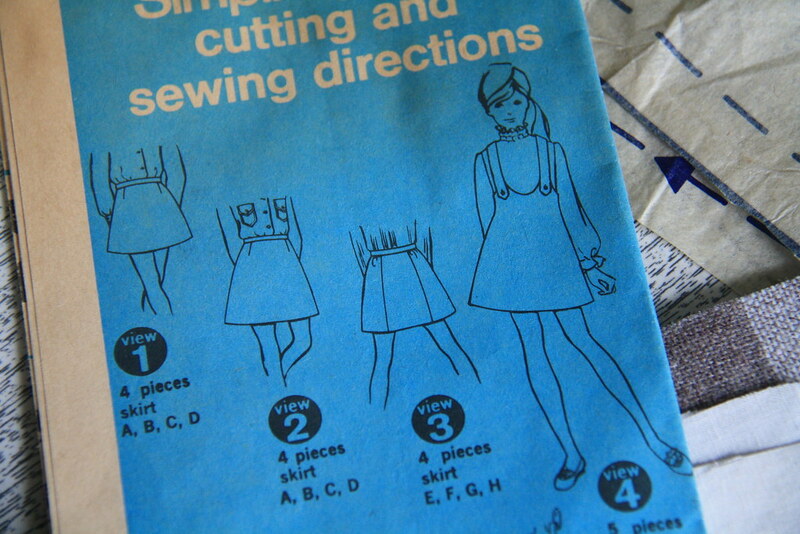 With the suspenders, there were two pieces - front and back - as well as one muslin facing piece. 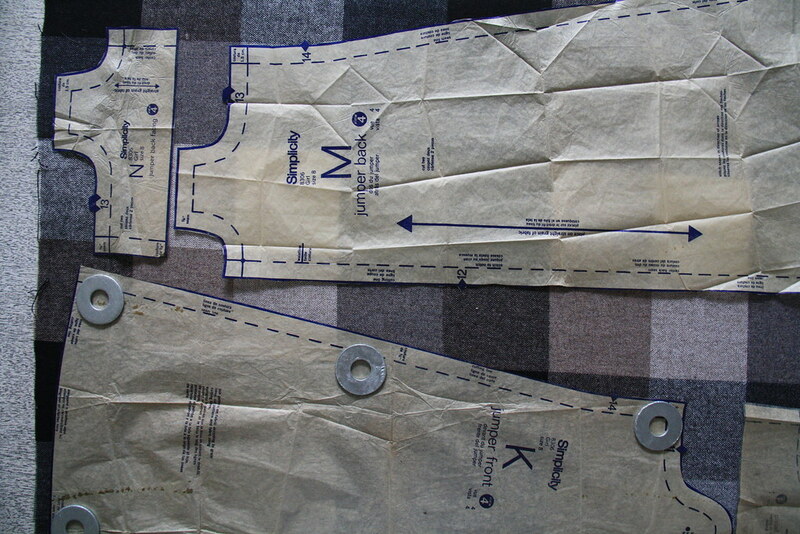 I sewed all three together at once, making sure to leave an opening in the center to flip the suspenders right-side out. 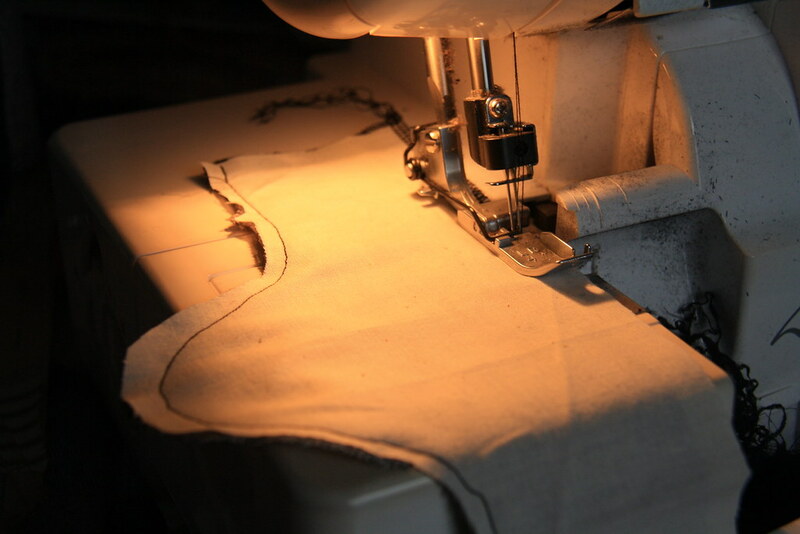 To attach the facing and form the suspender, simply match and sew the muslin facing and two suspender pieces (right sides inward and together), following the suggested seam allowance. 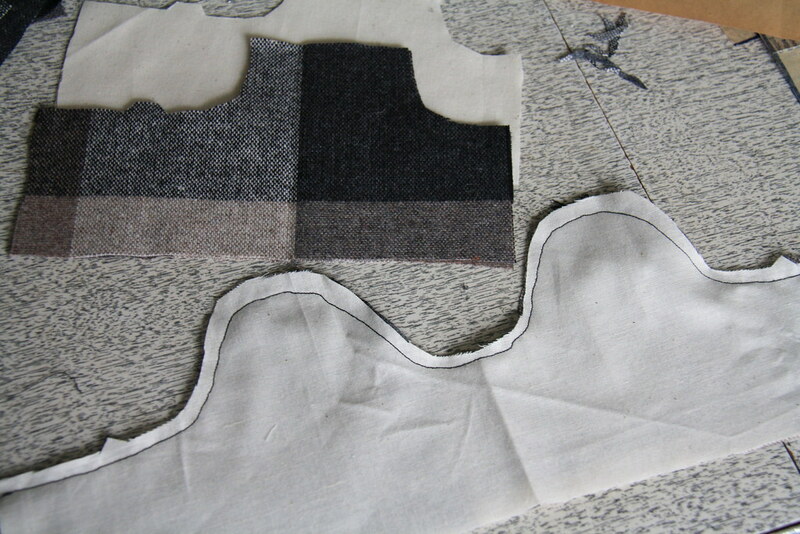 Then, trim edges and flip right-side out using the opening you left for yourself (we'll worry about pressing and topstitching next week). 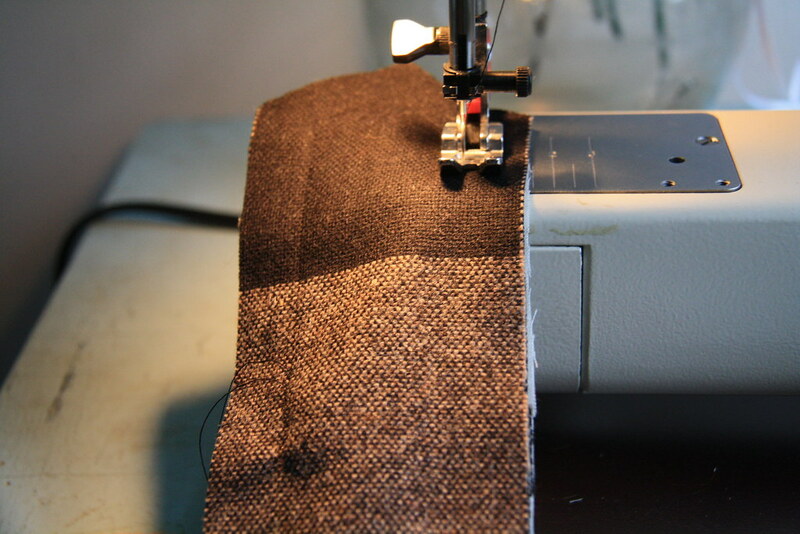 I then sewed the facing to the wrong side of the wool lining, making sure to stay outside the seam allowance (that way, you don't see any stitches on the outside when you sew the faced piece to your garment). 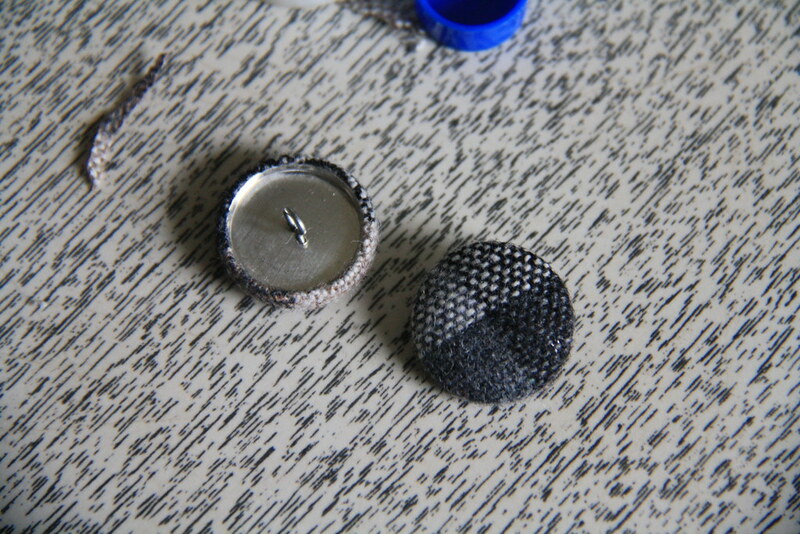 Next, it was time to cover the buttons. 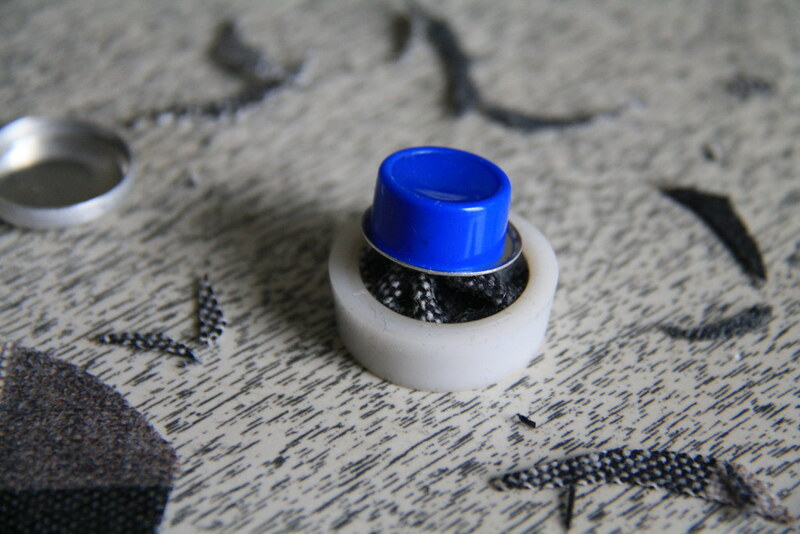 I've already posted a short tutorial on fabric covered buttons here, but I've taken some photos so you can follow along with each step. 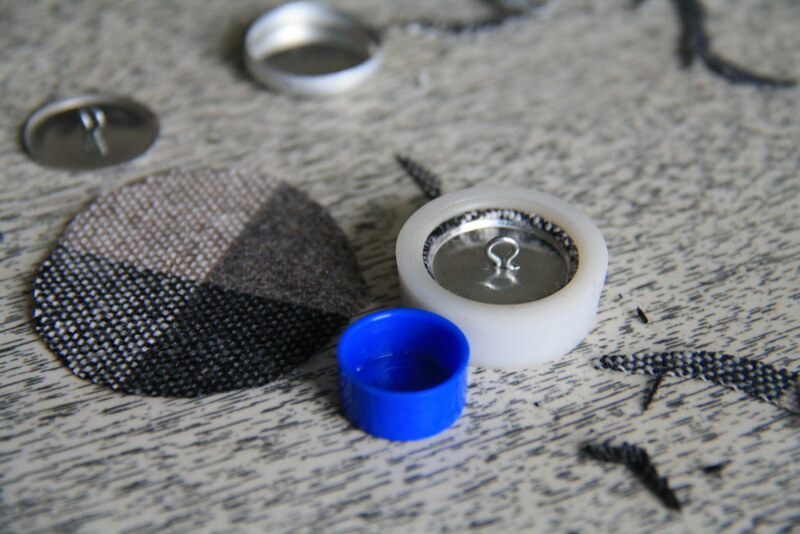 Whenever you buy a button cover kit (available at your local craft/fabric store), they come with directions. The process is really fast and rewarding. 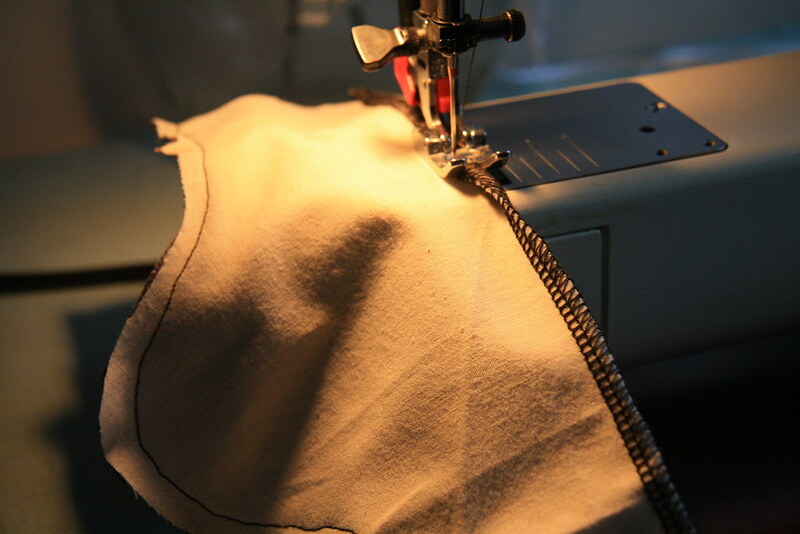 After I stitched the lining to the facings, I had to fold in 1/4 inch on the flat edge of each lining. I decided to serge the edges (lining and facing together) to make it easy, then simply fold the serged edge inward and stitch to finish. That's it for now! Next week, I'll finish the jumper by piecing it all together, sharing some hand-stitched buttonholes, and adding a zipper. As for tonight, I'm having a hard time falling asleep - tornado alarms keep ringing. The South is crazy.